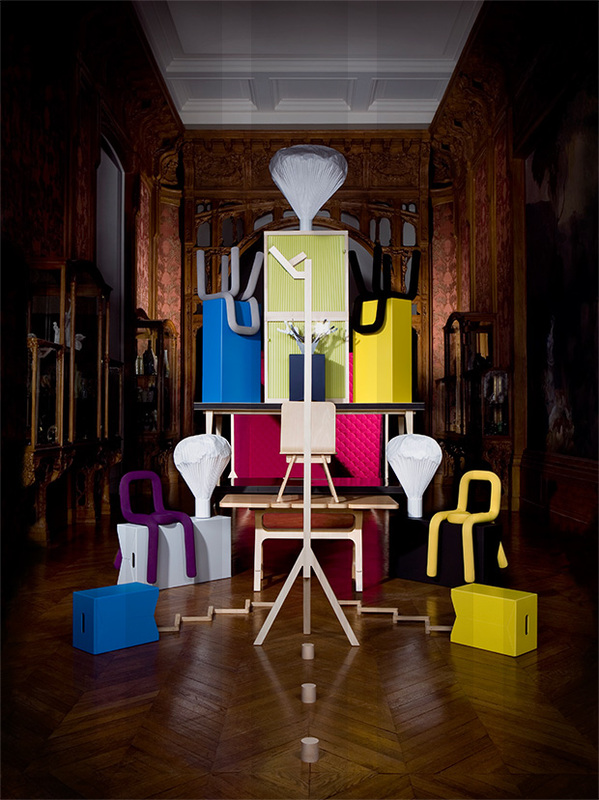 Since its launch in April 2009, Moustache, a French publishing house in the field of contemporary articles and home furnishings,under the impetus of Stéphane Arriubergé and Massimiliano iorio, is forging close links in a network of complicity and expert knowledge in design fields. An active participant in the present-day writing of the history of manufactured articles, Moustache proposes a collection which explores new approaches to production and consumption. Its articles and pieces of furniture involve their users in their own contemporary history. To the market constraints linked to the ever-increasingly insistent demand for novelties and experiences on the market, Moustache prefers to build a long-term domestic world with a high cultural value. Rooted in the history of arts and techniques, the Moustache philosophy combines design and pattern in the present: attentive and responsible production responds to his searches for new, aesthetic, function and relevant shapes. Committed, Moustache is surrounded with designers for whom it is essential that convictions and points of view be shared. François Azambourg, Big-Game, Sébastien Cordoléani, Jean-Baptiste Fastrez, Benjamin Graindorge, Constance Guisset, Bertjan Pot, Dylan Martorell, Ionna Vautrin and Inga Sempé make up the uniqueness of this community. The result of a well thought-out dialogue between technique, strong identity and contemporary use, each article with its disparities forms the contours of the same family. Moustache is attached to the heritage value of the articles, evidence of a society, its developments and its uses. It offers to share its soul, its ideas and its values. The environment it reveals according to an enlightened editorial line, a catalogue of objects linking some with others according to the principles of simplicity and accessibility. A distinctive and remarkable symbol, Moustache publishes a collection with a character which, today, is imposing its presence in the design environment. Objects produced by Moustache have been integrated in museum collections such as the MoMa, Museum of Modern Art de New-York, le F.N.A.C, Fond National d’Art contemporain, centre national des arts plastiques, Paris la défense, Le Musée des Arts Décoratifs de Paris, Le MAKK, Museum of Decorative Arts in Cologne, Museum für Gestaltung de Zurich.